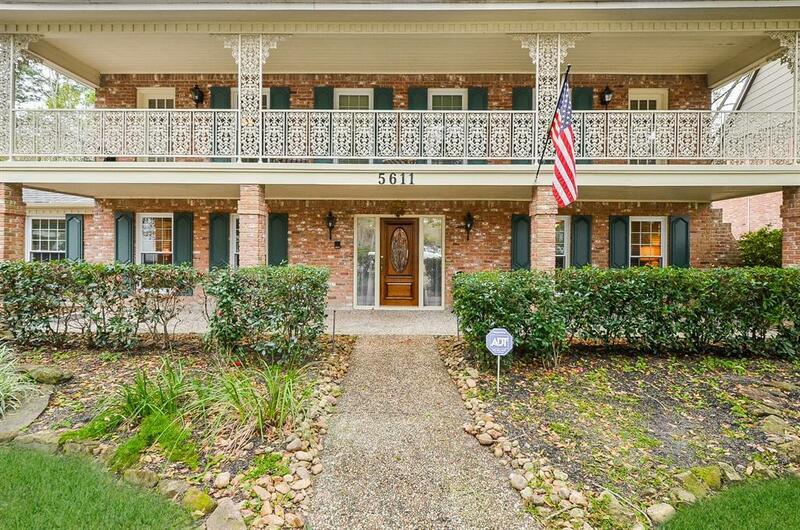 Welcome to this STATELY 5 bedroom, 3 full and 1 half bath home nestled on a quiet cul de sac street. 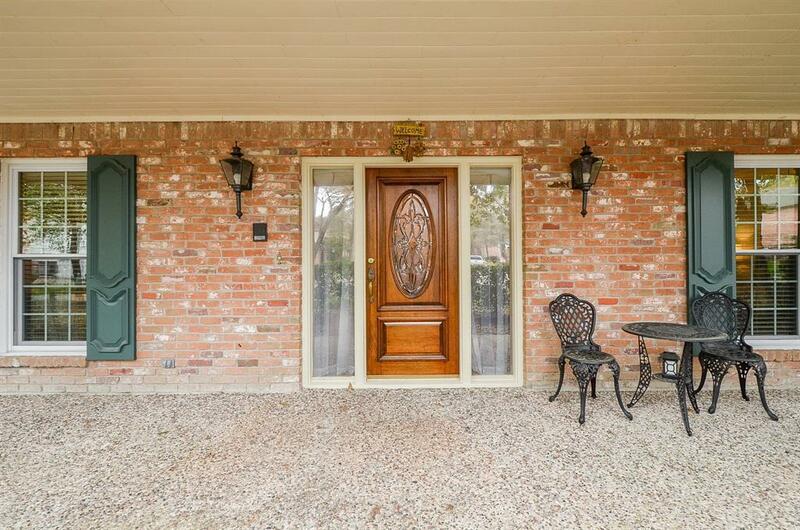 Enjoy a morning cup of coffee on the covered front porch! Elevated ceiling, stunning chandelier and marble flooring greet you on entry! 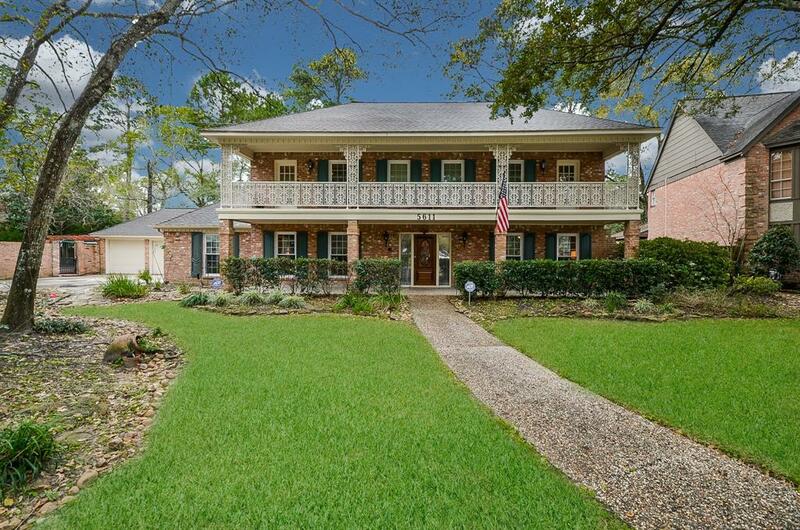 Formal living off entry offers gleaming wood floors and impressive millwork. Enjoy family dinners in the formal dining that features rich wood flooring, crown molding and sparkling chandelier! Entertain family and friends in the spacious den that offers fireplace, built ins, amazing backyard views and wet bar nearby! Kitchen offers gas cooktop, double ovens, granite counters and sleek SS appliances. Master retreat offers crown molding, neutral carpet and sitting area! Elegant master bath features dual sinks and his/hers closets. Spacious secondary bedrooms with covered balcony access! Whole house medical grade air filter! New carpet! Foundation pier! 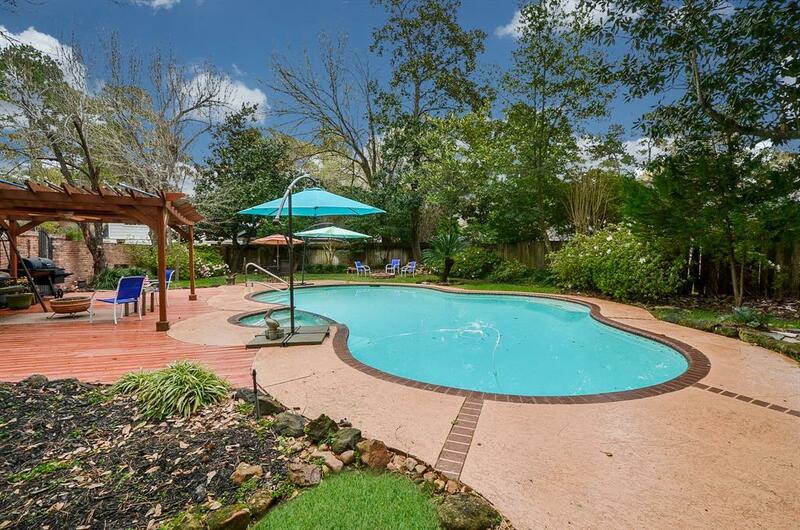 Beautifully landscaped backyard with extended patio, pergola and sparkling pool/spa! NO FLOODING!! !